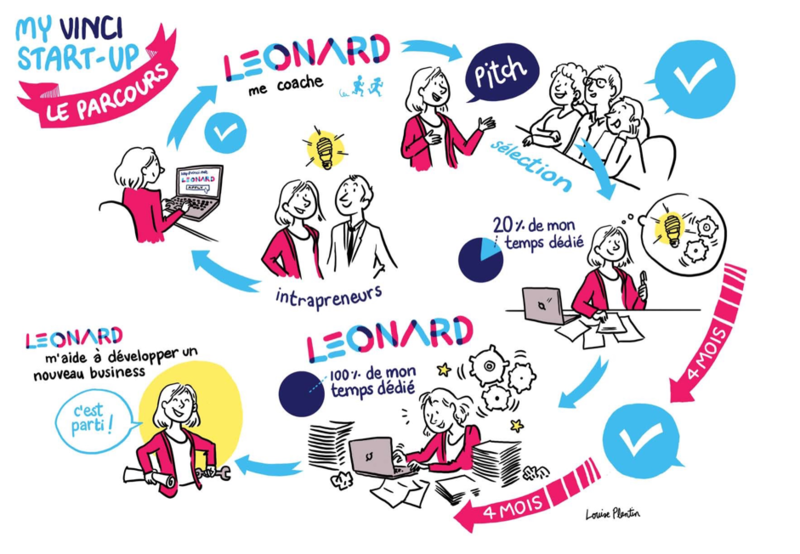 Leonard, VINCI’s foresight and innovation platform, supports Group employees who have entrepreneurial projects they want to develop. We provide coaching and resources, and our goal is to fast-track the ideas we select to grow them into business ventures within months. We’ve backed Group people working on 32 projects over the past year and a half. 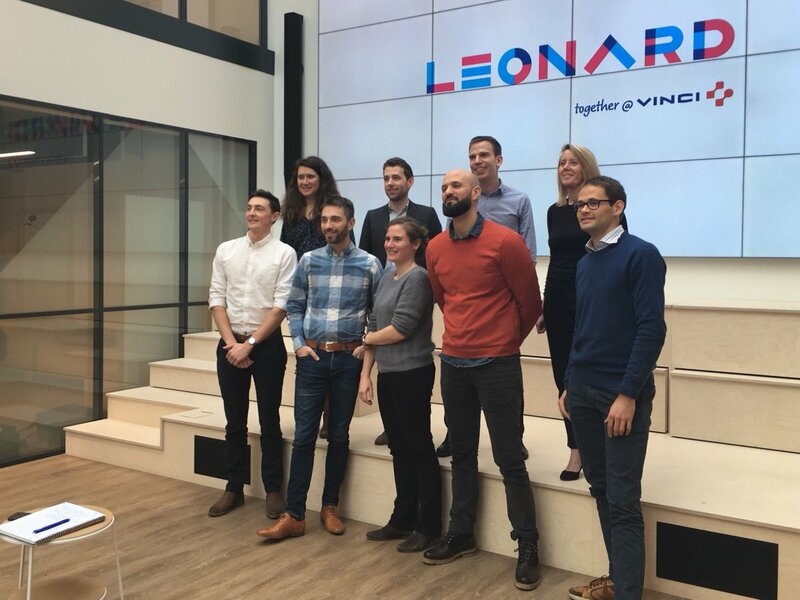 Leonard gathered the third contingent of intrapreneurs working on the projects it’s incubating at Leonard:Paris, VINCI’s innovation venue in central Paris, for their first Rush Week, from 28 to 30 January last. Rush Week is one of the highlights for intrapreneurs on a Leonard path. This busy week is also a fantastic opportunity to rally people from around the VINCI Group. The intrapreneurs meet coaches, experts, mentors, top managers and other sponsors who flock to the venue to hear about the new projects. The ones this year included Chloé Clair (VINCI Construction CTO), Gaël Cailleaux (Entrepose Contracting COO), Didier Thévenard (Eurovia Director of Equipment) and Didier Deschanel (Eurovia Director of Transformation and Innovation). This path is also wide open to entrepreneurs and experts working in cutting-edge sectors outside the Group. 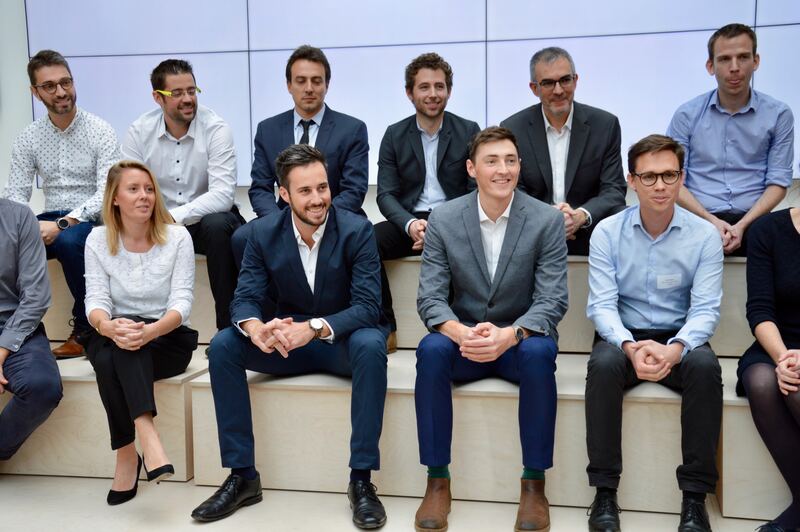 The list of external mentors this year included Jean-Baptiste Piacentino (Qwant Deputy CEO), Florian Parrain (Concord CEO), Corinne Lejbowicz (La Poste Board Member) and Alexandra Mosch (EABA Vice-President). What’s the rush in Rush Week? Rush Week is one of busiest spells in the incubation phase – which in essence involves turning an inkling into a business model. And the eight intrapreneurs that the selection committee had short-listed two months earlier were eager to start seeing some serious action. The intrapreneurs work on their value proposition and entrepreneurial stance. 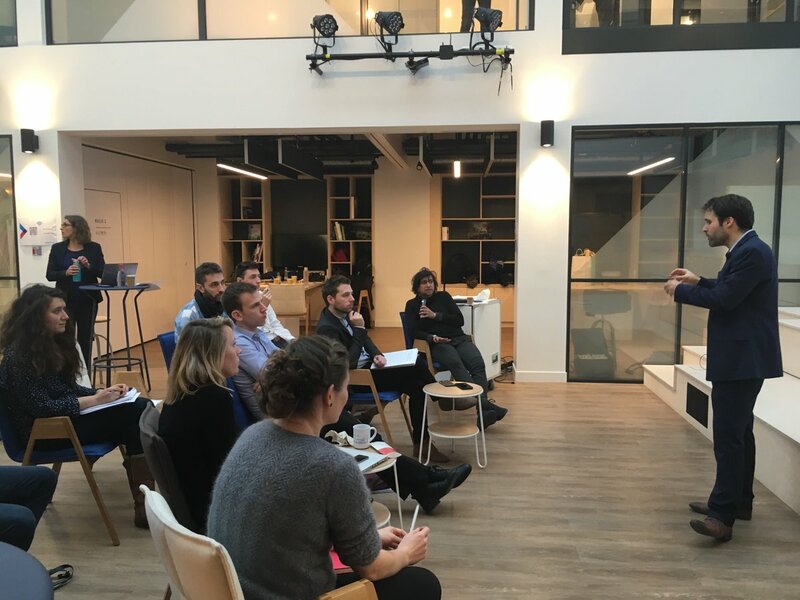 To do that, they attend expert-led workshops (on the art of activating customers using “growth hacking” or on producing a business model, for example), then present their project to in-house and outside experts during 30-minute coworking sessions. That’s their once-in-a-lifetime opportunity to talk candidly about their project’s strengths and weaknesses, to get as much feedback as they can. At the end of the week, they deliver their wrap-up pitch, which is packed with the insights they’ve picked up during the previous few days and the advice they’ve received. The intrapreneurs were naturally excited about taking their first steps, but ran into a few difficulties when they started out on their path. At this point, they are still sun-lighting at their VINCI Group BU but they are also ambassadors standing up for their ideas. Rush Week is a booster for intrapreneurs when they have just started developing their project. It’s an opportunity to look at the project in a new light, with a group of experts pooling their knowledge and insights. Once the observation phase is over, the intrapreneurs have to map out their business model. And they need all the feedback they can get to do that. So Rush Week is the perfect place to meet new people, inside and outside the Group, and to listen to what they have to say. When the business model is ready, it’s time for the Proof of Concept (PoC) stage, meaning beta testing. This is the second big challenge for intrapreneurs: they have to convince the right BUs to help them fund a test product. Some projects can encompass several divisions, so their lead has to get several people around the Group on-board. Some ideas didn’t interest enough customers or attract enough demand on their market. In these cases, intrapreneurs changed direction – and have to find the energy to start over. Marie Lebreton’s project didn’t have enough business potential. Intrapreneurs from previous contingents also came along to talk about their projects and the progress they had made at the end of the second part of the path (the fast track). Their goal during that phase is to make sure their business model is viable, before operations start. These intrapreneurs are working with their mentors and have reached various phases in the process. For example, 50 VINCI worksites are already using WasteMarketPlace, Jérôme de Tomasi’s digital waste management solution, but the project needs additional funding to achieve critical mass and start making a profit. Jérôme is proud of the progress he’s made and the change he’s seen. Maxime Varin, who is leading the SunMind project, is working with VINCI Concessions and Omexom (VINCI Energies). His goal is to finalise his bid for his first customer by the end of the first half of the year, and to raise funds to show the rest of the Group that solar energy is brimming with potential. 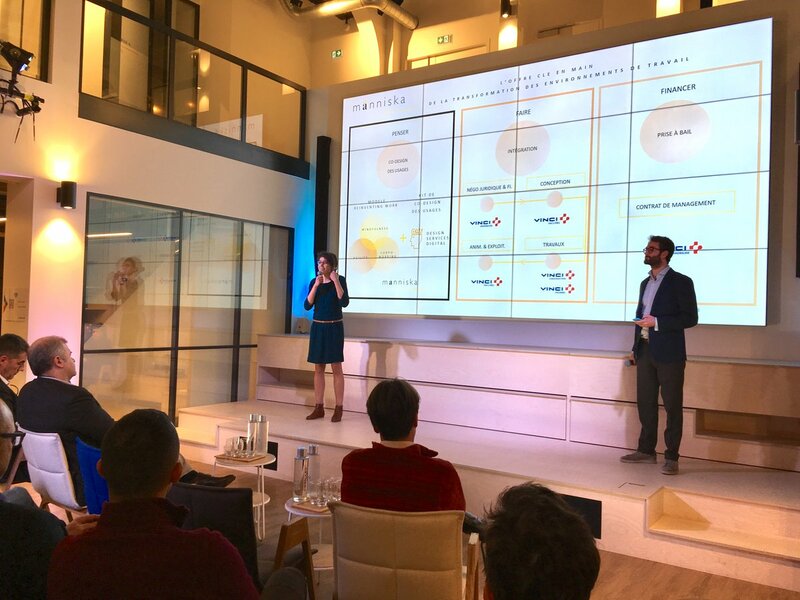 Melissa Demouth and Sébastien Gautier worked on their project Människa with their mentor, Didier Thévenard (Eurovia Director of Equipment) and have found customers to test their product. The intrapreneurs in the first contingent (which embarked on its path in 2017) who have turned their projects into working businesses, were also at Leonard to advise their up-and-coming peers. Some of the ones who started honing their ideas at Leonard are now developing new solutions and business lines within VINCI BUs. The fact that their projects cut across several Group divisions, and bring together such a broad spectrum of expertise, is making them fearfully effective. 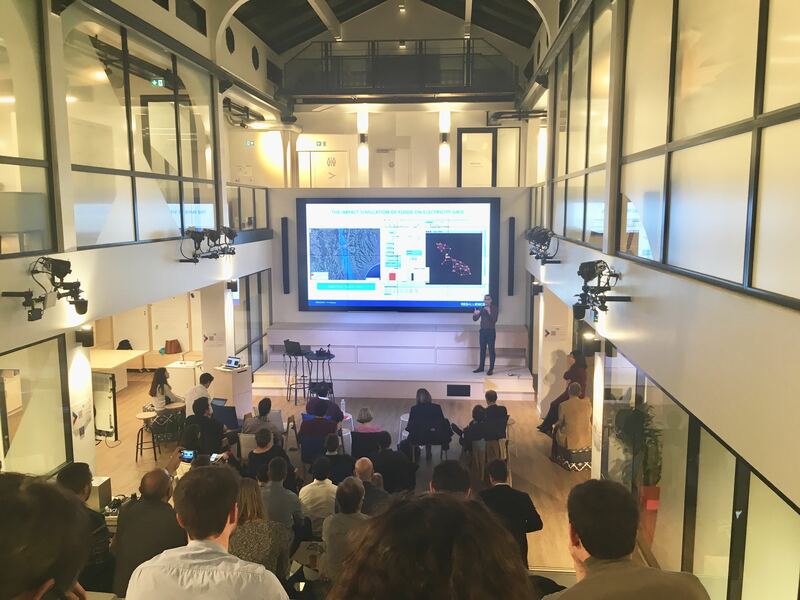 Karim Selouane developed Résallience, VINCI’s new consultancy helping cities and regions adapt their infrastructure to climate change. Résallience is now part of Sixense, a VINCI Construction subsidiary. They have completed projects together inside and outside the VINCI Group, and inside and outside France. Alice Blouët led the Concreative project (concrete 3D printing using XtreeE technology), with Khalil Doghri. She has handed it over to a team, after moving to Freyssinet’s technical printing office and setting up its first 3D printing robot in Dubai. Their order book is starting to fill up. Trust[in], the VINCI Group’s online recruitment firm, was created by Samir Bengelloun. It has generated €150,000 in revenue so far and is planning to double that figure in 2019. Damien Bahon, who led the Rehalib project, has set up his operation within GTM Bâtiment. His next goal is to consolidate his operation into a BU, hire a team and build his market. He has already generated €40,000 in revenue and is aiming for €200 million next year. The first day of this Rush Week in Leonard’s bustling office was all about sharing. The people with projects in the incubator will leave with a fresh energy boost, the ones on the fast track will pick up new ideas to take their project to the next level, and the ones who have moved on will have even more contacts than before. And the mentors and coaches will be even prouder of their young protégés. Here’s a closer look at a few of the pioneering projects at Leonard:Paris. You have until 30 September to join the 3rd group of intrapreneurs! Join in VINCI's Intrapreneurship Fast Track! Story of a committee day.